The ASADO GRILL by LYNX is purely a chef’s dream come true for cooking outdoors. 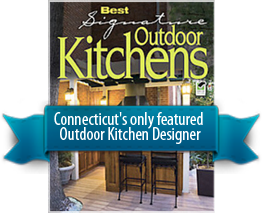 A fantastic component to the appliance line up of luxury outdoor kitchens. The benefit of the ASADO is its ability to cook in direct contact with the specially constructed surface allowing various methods of cooking without the interaction of pots and pans. A truly sociable grill allowing you to prepare many of your favorite indoor foods such as french toast, pancakes, bacon and eggs and crepes for breakfast. Teriyaki chicken, grilled cheese, fajitas, quesadillas, and burgers for lunch. Skewers, shrimp, sauce vegetables, salmon, swordfish and steak for dinner. The main feature of the LYNX ASADO grill is the configuration of two independent ProSear2 infrared burners providing responsive temperature control over two independent cooking zones (46,000 BTUs total). The ASADO is powerful and consistent enough to enable the cook to prepare any of these favorite foods and side dishes simultaneously even while outdoors. Lynx’s ASADO grill although aligned best next to its counterpart LYNX bbq grill for not only cooking performance but night time ambiance. All the knobs on LYNX professional series grills and appliances illuminate a blue LED color and look terrific. The ASADO is also a great teammate for any grill and should be positioned in nearby proximity to it leaving ample counter space between each. The Outdoor kitchen has qualified itself to produce meals for breakfast, lunch and dinner thanks to the ASADO grill from LYNX. The ASADO grill is equipped with two independent burners. An ideal scenario when grilling chicken. With independent heat sources you can brown the chicken on higher heat and then move over to lower temperatures to thoroughly cook the inside to perfection. The results are mouth watering as this keeps the juiciness inside the chicken.